When outpatient treatment cannot meet an individual’s health needs, Sheppard Pratt offers assertive community treatment (ACT). ACT is a comprehensive, mobile health service for adults with a persistent mental illness. We deliver services in a convenient and comfortable location, such as the home. ACT services, also known as mobile treatment, are psychiatric treatment and wrap-around services designed to improve overall health and well-being. ACT offers interventions that help our clients meet their goals of living independently. 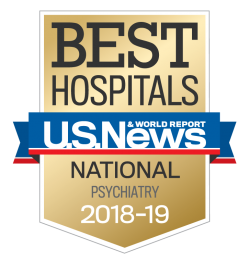 In terms of mental illness, ACT is an effective intervention for individuals with significant mental health issues who struggle to engage in traditional outpatient settings. It has even been shown to reduce hospitalization rates. Many individuals are eligible for Health Home services. We offer primary care support to people with a mental illness or substance abuse disorder. Our ACT team is multidisciplinary. This means the team members have different training and experiences. Together, they meet all of the needs of our clients. ACT at Sheppard Pratt: Why Choose Us? Our ACT program follows an evidence-based practice (EBP) endorsed by the U.S. Substance Abuse and Mental Health Services Administration (SAMHSA). Our program meets strict SAMHSA protocols, including frequent and intensive team member visits with our clients. We participate in voluntary monitoring to show that we meet the EBP requirements. ACT is one of our comprehensive psychiatric rehabilitation offerings to help our clients achieve the highest level of independence possible.